With almost two decades of Enterprise Level Digital Marketing, One Click SEO not only works with the most complex search engine optimization industries such as real estate, law firms and medical, but also offer low fixed pricing on A la carte services such as Local SEO Services, Original Content & SEOd blog posts, Advanced Schema and Social Syndication. 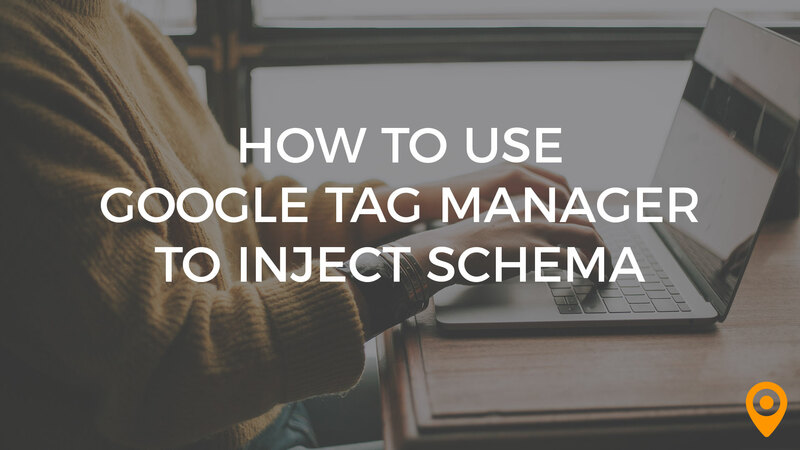 With the ever-evolving importance of using schema to leverage SEO, this post explains the benefits and efficiencies of using Google Tag Manager to inject schema on websites. One click SEO has a great team. They are dependable, knowledgeable, and honest. They did a Great Job....There is nothing not to like! Working with One Click Seo has been a great experience for our company. They go above and beyond when it comes to websites and seo. It has been a pleasure working with this company. We definitely will be working with One Click Seo for a long time! This company does a great job, they are very quick to respond if you need help or have any questions. I did not have any issues or anything that I felt needed more attention. I have worked with them several times and they have always taken care of everything I needed. I would highly recommend them. Dean is as knowledgeable and experienced with SEO and online marketing as anyone I have ever met. I wouldn't trust anyone else to promote my brand online. I had no negative experiences to document. My experience with this agency and Dean in particular has been 100% positive in every regard. My overall experience has been excellent, and I plan to work with Dean and One Click SEO in the near future on other, unrelated projects from those on which he's already worked. They are locally owned, their attention to detail is top notch and they are both professional and friendly. Can't say that there is anything.... Except this field requires me to input at least 50 characters! My experience was great. The process was very smooth and thorough. They explained the process, helped with what direction I should take and were always a phone call away for any questions I might have. Great Job! On top of their game, really know the business of SEO ... does not give you the run around with things that a digital business will not understand or would not be helpful. Why do I have to say I like something the least? Ok, fine. Since I have been knowing ownership since the beginning, my ONLY dislike would be that they are so good ... they have grown to the point where there are more clients than just me. What a problem to have, right?! They are an excellent firm, highly recommend. If you really need professional SEO services, this is who I would call. Or message. Or tweet. You get the idea! Dean was always available to talk and listen to any concerns we had. Very good experience. One Click SEO commented on review. Dean and is staff are the best hands down! I used at least 4 other companies prior to One Click and the couldn't compare to One Click! Nothing. They have been awesome since day one. No way I would use anyone other than One Click!